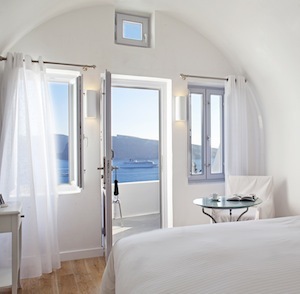 On Santorini, the view’s the thing, and there may be none better than that from the pool deck at Katikies, looking out over the island’s submerged volcanic caldera and the sea beyond. 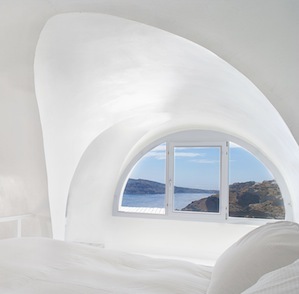 This hotel is a feast for the eyes, not just a scenic overlook but a sparkling white modernist take on a traditional cliff dwelling, spilling down the steep hillside a hundred meters above the water. 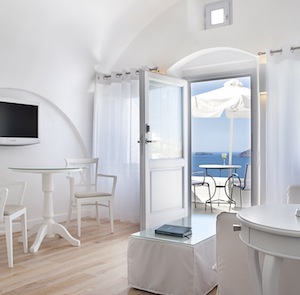 Guest rooms make the most of the hotel’s position; even the standard rooms have private terraces, and the better suites feature loft bedrooms with picture windows overlooking the sea. Some even feature outdoor terrace dining rooms, and in the case of the Katikies Suite, a lounge to rival many a rooftop bar. 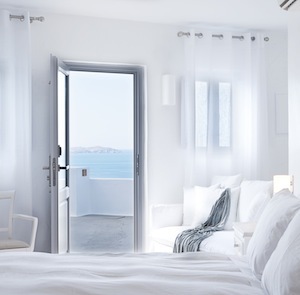 Interiors are spare and white, in traditional Greek island style, yet without venturing into showy minimalism — think antiques and marble, but in tastefully modest quantities. The climb up the stairs to the road is quite a workout — many guests will prefer to stay on premises as much as possible. 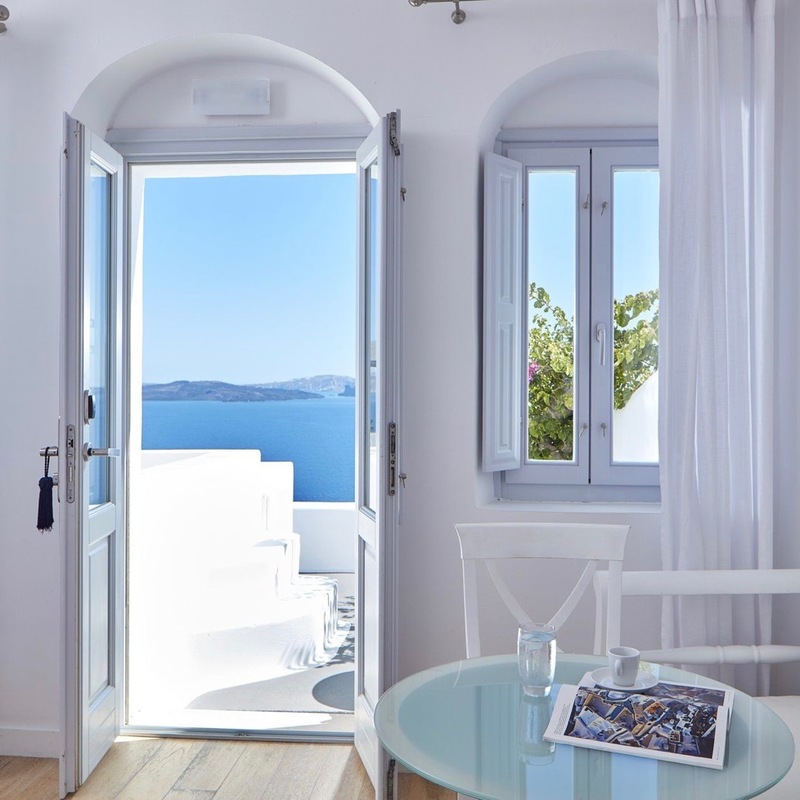 Fortunately, there are plenty of dining options: the rooftop Ellinikon restaurant, serving Greek cuisine on an open-air terrace; the poolside restaurant, for more casual fare; and Katikies restaurant, the most intimate option — just four tables on a private terrace overlooking the caldera. Please note: Hotel Katikies does not accommodate children under 13 years of age. 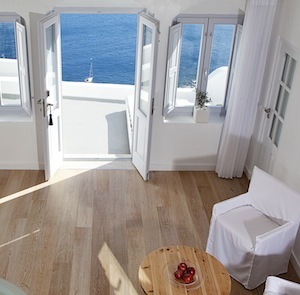 Hotel Katikies is approximately 11 miles (18 km) from Santorini Airport and the port of Santorini. Please contact CustomerService@TabletHotels.com for assistance with airport transfers. This room is 150 meters from the main hotel.